ROAD TOWN, Tortola, VI - Word reaching our newsroom is that the Territory’s Deputy Police Commissioner, Alwin James has been hospitalised. According to information obtained from persons familiar with the matter, it was yesterday April 19, 2018, that Deputy Commissioner James arrived at work complaining about not feeling well. 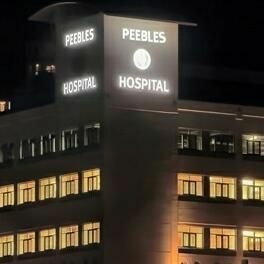 Around 10:00 A.M. he went to see a private Doctor and thereafter, was admitted to Peebles Hospital, in Road Town where he remains a patient awaiting some test. A call moments ago today Friday, April 20, 2018, to Police Commissioner, Michael B. Matthews on the matter, he confirmed that his Deputy Mr James has been hospitalised. Mr James has spent some 29 years in the Royal Virgin Islands Police Force (RVIPF) and acted as Police Commissioner for a number of years. make sure you have your NHI paid up, or even if you are dieing they will dump you on the street here. Let's join hands together with love and pray for Mr. James. Sir I wish you well and speedily recovery. He has done way over 29 years. Close to 33 thereabout. Speedy recovery. I was saying the same thing I remember him patroling the Streets of Road Town and would pass by work place and that was in 1985. Mr. James my prayers are with you from over the skies and seas. Get well soon Sir.